Big boxoffice: If Hollywood were one giant company, its stock would be a great buy given how well movies are performing this year at the boxoffice. Between Universal's "Furious 7,"which in 10 days has done $252.5 million, and Marvel Studios and Disney's "Avengers: Age of Ultron,"which is expected to open to $200 million-plus May 1, this is shaping up to be the year Hollywood missed out on last year. Ticket sales so far are up about 7.3 percent for the year to date, according to the boxoffice data analysis firm Rentrak. And with a string of strong titles on deck for both this summer and the holiday season, there's good reason to bet that 2015 will be a great year for Hollywood. When "F7"opened Apr. 3 to $143.6 million, it immediately took fourth place on the year-to-date domestic boxoffice chart. At that point, "Cinderella" ranked first with $167.3 million, "Fifty Shades of Grey" was second ($165.5 million) and "The SpongeBob Movie: Sponge Out of Water" was third ($160.87 million). Fifth place was held by "Kingsman: The Secret Service"($122.3 million). A week later, however, it's quite a different Top 5. "F7" is first with $252.5 million, followed by "Cinderella ($180.8 million), "Grey" ($165.8 million), "SpongeBob" ($161.3 million) and "Home" ($129.6 million). "F7's" ticket sales should grow significantly over the next two weeks since it won't be running into any high profile mega-blockbuster competition. But all that will change May 1 when "Ultron" explodes at the multiplexes. Within two weeks, "Ultron"is likely to be occupying the top spot on the chart. "Ultron"is a likely bet to be this summer's top grossing movie just as the first "The Avengers" dominated the summer of 2012. After opening May 4to $200.4 million, it wound up doing $623.4 million domestically plus $895.2 million more in international theatres -- for a worldwide total of $1.5 billion. "Avengers" was the year's top grossing film by a mile and that could also be the case for "Ultron. "Its biggest competition for 2015's boxoffice crown is likely to be "Star Wars: The Force Awakens" from Lucasfilm, Disney and Bad Robot. But since "Force" doesn't open until Dec. 18, the 3D sci-fi action adventure won't have enough playing time left in 2015 to overtake "Ultron's" massive anticipated cume from May through the summer. But thinking about "Ultron"and "Force" is getting too far ahead of ourselves as we focus on how the year is unfolding right now. Here's a quick look at 2015's current Top 5with some thoughts about what's working best at the boxoffice. "F7," which is first by a mile with $252.1 million, hammers home the value of having action adventure franchises with broad playability. The PG-13 rated action crime thriller's high octane tracking is in the kind of sizable double digits we rarely see on these marketing studies. It's tracking huge and nearly as well with males under and over 25 and it's also scoring strongly and equally well with women under and over 25. Movie marketers call that a four-quadrant appeal film and that's reflected in "F7's"sizzling boxoffice performance. Moreover, "F7" is an even bigger blockbuster internationally with about $548 million in ticket sales in less than two weeks. That brings its global cume to a staggering $800.5 million, which means "F7" should crack $1 billion worldwide later this week. 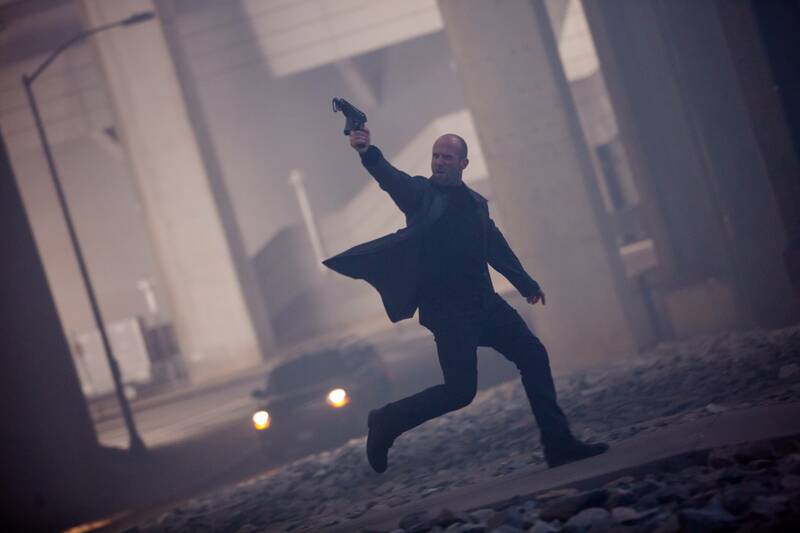 "F7" was originally set to open last July 11, but Paul Walker's tragic car crash death in November 2013 shut down production and delayed its release.It turns out that Universal was very smart to launch it in early April rather than in late May like the previous episode, "Fast & Furious 6," which opened May 24, 2013 to $97.4 million and did $238.7 million domestically. The new episode's already out-performed "F6" in its first 10 days. The timing of "F7's"opening reflects the prevailing view today in Hollywood that movies are a year-round business and audiences will turn out any time of the year to see what they really want to see. The previous six episodes in "The Fast and the Furious" franchise, which began in June 2001, grossed $937.8 million in domestic theatres. So, clearly, this is a franchise with tremendous appeal to moviegoers. 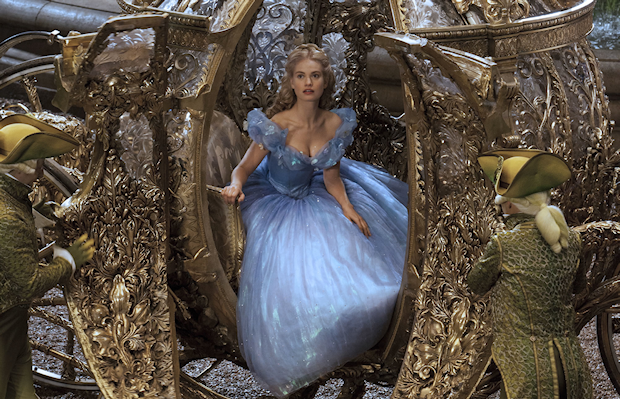 Disney's "Cinderella" ranks second for the year with $180.8 million. The live action PG rated family adventure drama from Walt Disney Pictures is an original, although it's based on a legendary family audience brand name that is one of Disney's classic titles. When "Cinderella" opened it was tracking in double digits as an overall first choice to see and doing best with under-25 females. It also was tracking well with women over 25, a good indication that the moms-with-kids audience that family films need would be there for it. The year's third ranking film is Universal and Focus Features' R rated romantic drama "Fifty Shades of Grey"with $165.8 million. It's an original based on the worldwide best-selling novel by E L James, whose "Fifty Shades" trilogy has sold over 100 million copies. As it did with "F7,"Universal picked the perfect release date for "Grey."Feb. 13 began a four day holiday weekend that started with Valentine's Day on Saturday and ended with Presidents' Day on Monday. The studio's Feb. 13 launch date positioned this offbeat romance about a wealthy businessman of "singular tastes" and a then-naive young journalist as being a great idea for Valentine's night couples viewing. But it also had tremendous appeal to women under and over 25, who like to see films in groups. When it opened,"Grey"was tracking in double digits as an overall first choice. It tracked best and in high double digits with women over 25 and next best with under-25 women. That's thegirls-night-out audience that Hollywood marketers love because group moviegoing meansbig ticket sales. 2015's fourth top film to date is Paramount and Nickelodeon Movies' PG rated 3D animated comedy adventure "The SpongeBob Movie: Sponge Out of Water"with $161.3 million. Here, too, it's evident that 3D, animation, franchise brand recognition and family appeal is a winning combination. When it opened,"Water" was tracking best with under-25 males and next best with women under 25. But it also was tracking well with women over 25, the all-important moms-with-kids crowd for family films. The franchise's original episode, "The SpongeBob SquarePants Movie," which opened Nov. 19, 2004 to $32 million, grossed $85.4 million in domestic theatres.So the new episode has done way better and the franchise is certainly not going down the drain. The year's fifth biggest film to date is DreamWorks Animation and 20th Century Fox's PG rated 3D animated family adventure "Home"with $129.6 million after three weeks in theatres. It's from the creators of "The Croods"($187.2 in 2013) and "How to Train Your Dragon"($217.6 million in 2010), two other good examples of how well family appeal pictures can perform at the boxoffice. When "Home" hit the multiplexes Mar. 27, it was tracking best with women over 25 and next best with under-25 women. Once again, when you've got moms-with-kids on board for a family film, the boxoffice results are likely to be positive. "Home's" Mar. 27 release date was the Easter holiday weekend and is another great example of how family movies go hand-in-hand with holiday weekends. The film opened solidly in second place (after "F7") to $27 millionand the Easter weekend boxoffice totaled of over $218 million was the biggest Easter gross ever, according to the boxoffice data analysis firm Rentrak. Bottom line:Hollywood will hope to keep the momentum going this weekend with three new wide releases targeted to different audiences. Columbia Pictures and Happy Madison Productions' PG rated action comedy "Paul Blart: Mall Cop 2," opening at about 3,600 theatres, is from "Parental Guidance" director Andy Fickman and stars Kevin James, Raini Rodriguez and Eduardo Verastegui. It's tracking best and equally well with men under and over 25 and nearly as well with 25-plus women. The first episode, "Paul Blart: Mall Cop," opened Jan. 16, 2009 to $31.8 million and did $146.3 million domestically. Universal's R rated horror thriller "Unfriended,"opening at about 2,600 theatres, is an original directed by Levan Gabriadze ("Lucky Trouble"). Starring are: Cal Barnes, Matthew Bohrer and Courtney Halverson. "Unfriended" is tracking best and equally well with men and women under-25.That could give it broader playability than many horror films, which typically have their strongest appeal to young women. Disneynature's G rated documentary "Monkey Kingdom,"opening at about 2,000 theatres, is directed by Mark Linfield ("Chimpanzee") & Alastair Fothergill ("Bears") and is narrated by Tina Fey. This is the eighth film in Disneynature’s True Life Adventure series. "Monkey" is tracking best with women under 25 and nearly as well with women over 25, an indication that it should attract family audiences.